Dehlin Lee, a sophmore, begins her journey on The Chant to expose her to a whole new world of photography and writing. 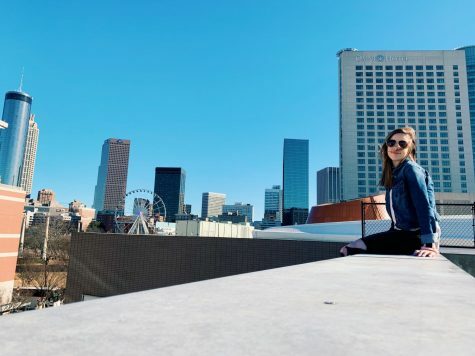 Lee aspires to be a Pediatric Orthodontist by furthering her education at The University of Georgia and hopes to take her career around the world to help those in need. She chooses to live life to the fullest and hopes to make an impact on many people some day. Lee spends much of her time surrounded by her family and friends who have made her into the person she has became. Lee’s family supports her in anything she does and leads her to travel the right path. Lee also plays on the NC softball team and Georgia Prospects during the fall and spring seasons. While Dehlin loves spending her time traveling and exploring new things during the summer time of course, she loves being bundled up watching Jane the Virgin eating her favorite Mexican food as well. Lee dreams of having a side job as a photographer and hopes that The Chant will lead her in the right direction. This year Dehlin has hopes of using her passion of photography and take it to the next level all while representing the best high school ever!